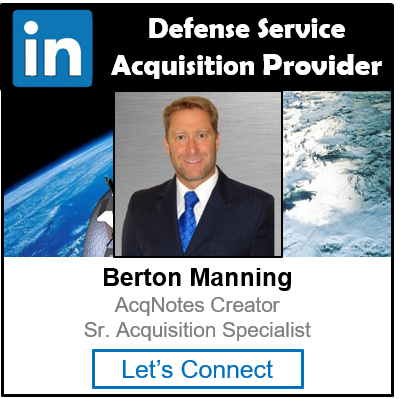 Middle Tier Acquisition (MTA) is an rapid acquisition interim approach that focuses on delivering capability in a period of 2-5 years. 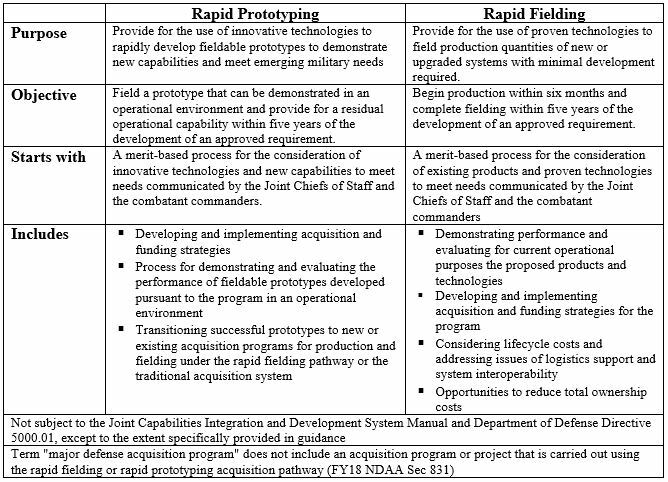 The interim approach was granted by Congress in the FY16 National Defense Authorization Act (NDAA) Section 804 and is not be subject to the Joint Capabilities Integration Development Sysytem (JCIDS) and DOD Directive 5000.01 “Defense Acquisition System” but expires Sep 2019 unless extended. The approach consists of utilizing two (2) acquisition pathways: (1) Rapid Prototyping and (2) Rapid Fielding. It does this by streamlining the testing and deployment of prototypes or upgrading existing systems with already proven technology. Organization must make use of their existing funding consistent with the purpose ofr which the funds were appropriated. Rapid Prototyping Fund will be authorized when approved by organizations responsible for those authorities. Memo: OSD Middle Tier of Acquisition Interim Authority and Guidance – 16 Apr 2018.